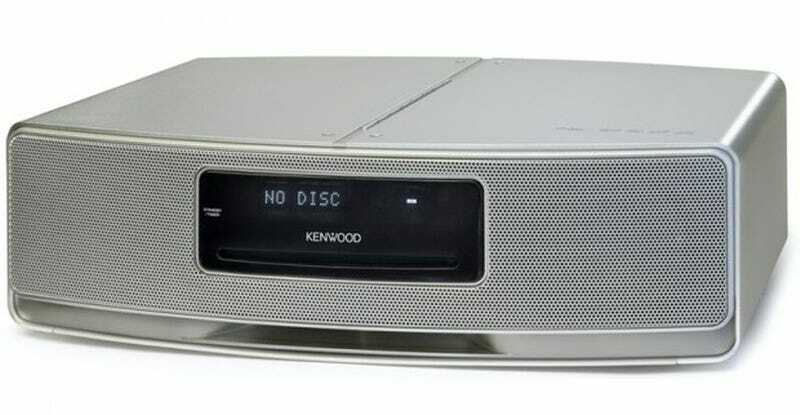 This upcoming bookshelf or nightstand CD player from Kenwood looks simple enough, but inside the company is promising surround sound quality output from just two speakers. The setup sort of reminds me of the overpriced Bose 3-2-1 system, which mimics surround sound using just two speakers and a sub, but unfortunately there's little else to go on. The press release is sparse, as hyped-up marketing materials are wont to be, and not even a release date or pricing escapes its hazy grip. Maybe April. In Japan. Maybe.